Nominated for an Academy Award in 2014, “Happy” hit number one on Billboard’s Hot 100 list, and has topped the charts in more than seventy-five countries worldwide. Now Pharrell Williams brings his beloved song to the youngest of readers in photographs of children across cultures celebrating what it means to be happy. All the exuberance of the song pulses from these vibrant photographs of excited, happy kids. This is a board book full of memorable, precious childhood moments that will move readers in the same way they were moved by the song. 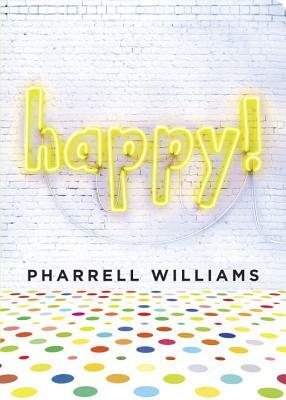 “Happy” has had the world dancing ever since it first hit the airwaves, and now the irresistibly cheerful tune will come to life on the page with Pharrell Williams’s very first picture book! A keepsake and true classic in the making. Redefining cool for a new generation, Pharrell Williams is a creative force, using music, fashion, and design to express his distinctive style. As a singer, songwriter, and producer, Pharrell has earned ten Grammy Awards for his work. His multimedia creative collective i am Other includes music, fashion, film, television, and art endeavors. The collective was built on the philosophy that individuality is the new wealth, and this sentiment flows through each project. Happy! is his first children's book.